Welcome to ARTrageous Brush and Flow! 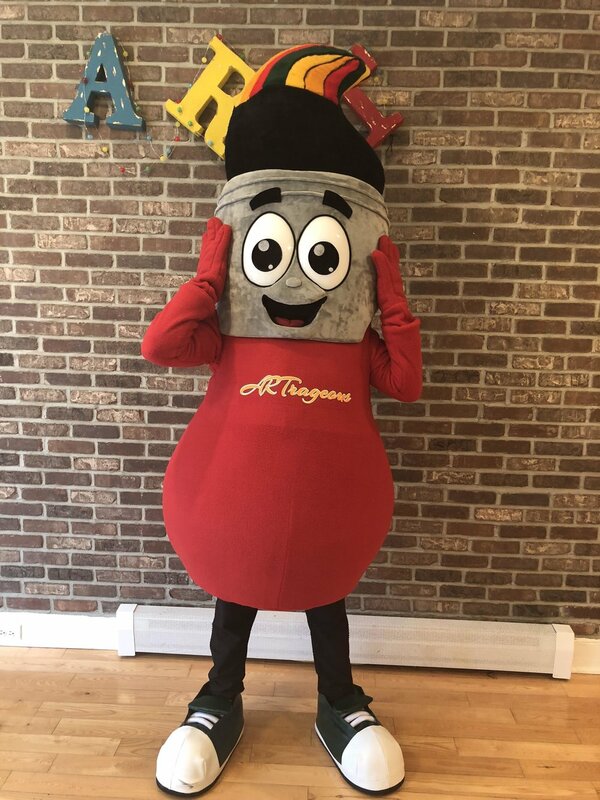 We are a local Philly art studio conveniently located in the Germantown community and we know how to mix up creativity and Fun! 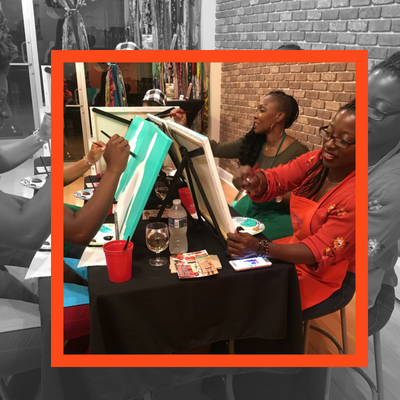 We host public paint events and private paint parties for all occasions at our cozy art studio or we'll bring the art studio to you at your preferred location - you get to choose! Planning your paint party with ARTrageous Brush and Flow is as easy as 1,2,3... and you're already half-way there! Learn more about our artist, our studio & mobile events and how you can start planning your next paint event today. So, where should we party? Our place or yours? With ARTrageous Brush and Flow you get to choose the party location that works best for you. Whether you're celebrating a child's birthday, throwing a bridal or baby shower, organizing a company team builder or just wanna have a chill night out with family or friends, we have everything you need to create a long lasting artsy memory at our studio or your preferred location. Celebrate your child's special occasion with ABF. 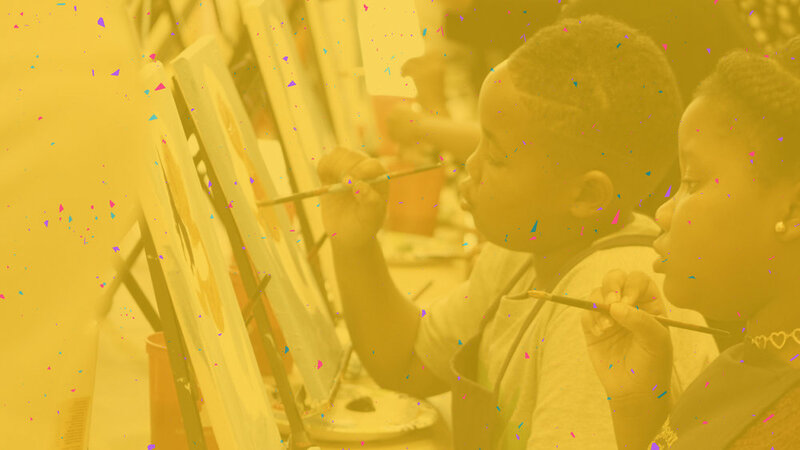 There is no better way to celebrate your birthday than a painting party with pals and friends! Every artist will create a bright acrylic painting on stretched canvas. Select from one of the canvases below. When did you last do it? Paint..that is! Date Night, OOH LaLa and Black Light parties are just a few of our most popular themed studio events. Believe the hype...our public paint studio events are amazing! Check out our calendar of upcoming events and register through Eventbrite today! What people are saying about our parties! "Awesome studio! It's bright and full of imagination. The owner Moneek and her family are professional, nice, funny I can't say enough about them. Had such a tremendously good time so when I saw the advertisement about Couples Night I asked my husband of 15 years to come with and he did and the rest was history! Will definitely attend many events at ArtRageous Brush & Flow Studio." "This place is awesome! A super great environment for children & adults. The host was so warm & friendly, made us feel right at home. If you're looking to book a great day with the family, friends, school outings & event. Look no more. You should call them. THIS PLACE ROCKS!" "This is one of a kind, awesome experience! Great location, great staff, and fun, fun, fun! Book your event onsite or offsite whichever you prefer. Wherever Moneek is the fun sure will follow! See what all the talk is about, experience it for yourself!" "I love this place! My husband and I had so much fun there. It's beautiful and always nice and clean. The owner, Moneek Pines is a great artist and host. Book your private event today!" “My husband and I gave my daughter’s 7th Birthday Party at ARTrageous! We ate and danced the afternoon away! We enjoyed our time and recommend this venue and activity for parties, families and gatherings of all kind! So much fun! What's New At ARTrageous Brush and Flow? Meet the newest member of our artsy family! He's so excited and ready to party with all of you. Follow Brushy @brush_flow and learn how you can bring him to your next event. Are you a parent looking for artistic activities for your students during school breaks? Or someone who coordinates extracurricular activities or day trips for your school or daycare? ARTrageous Brush and Flow hosts day trips and creative art activities that not only entertain but educate your students. We have a wide variety of themed art programs for students age 5-12 which are offered onsite at our art studio or mobile for your private groups. Take it outside! Summer is winding down but beautiful fall weather is among us! Wow your guests with a barbecue-style paint event at your preferred outdoor location. 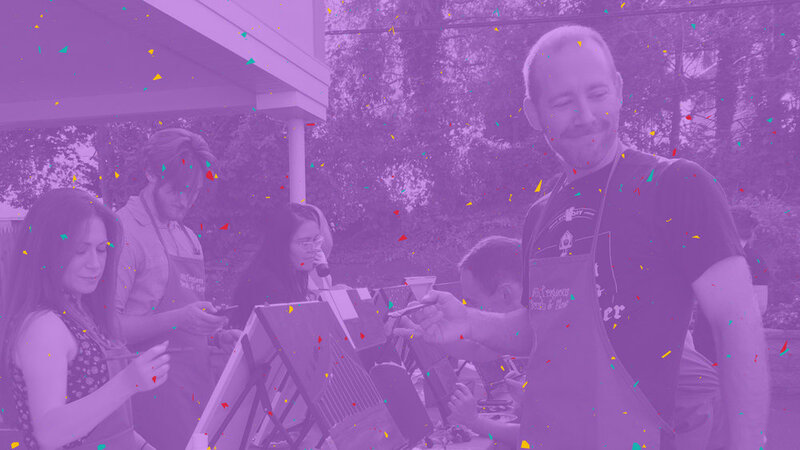 Whether it's a birthday party, fundraiser or corporate team building event, any occasion is the perfect reason to host your paint event outdoors.